Use this form to track goals for your students. 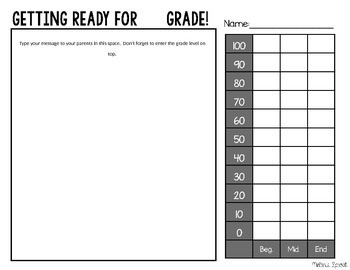 I like to send them home so that parents can document their child's progress throughout the year. 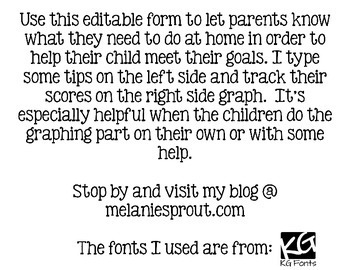 Type up some ways parents can work with their child on the left side and then the graph can be filled in on the right side. This form is editable using PowerPoint.